When it comes to tequila, you can't go with Jose Cuervo unless you're still in college. 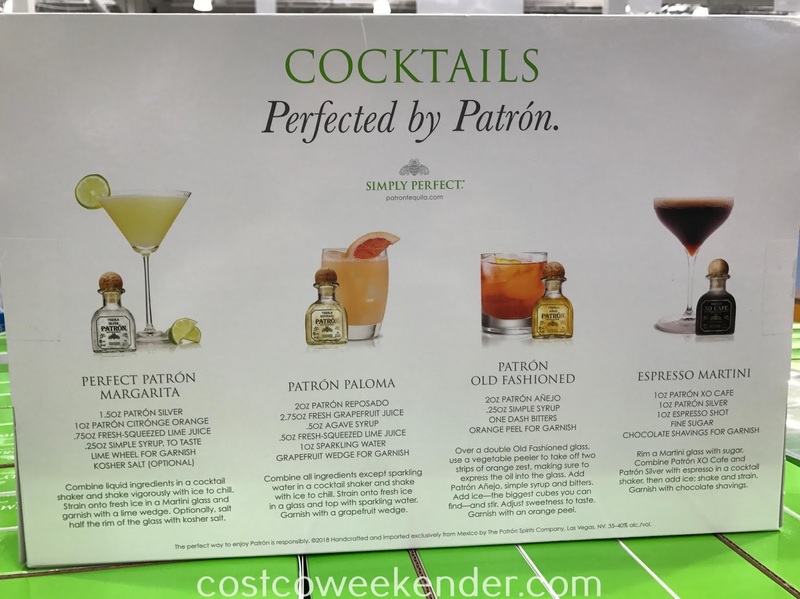 You have to go with the good stuff like Patron. 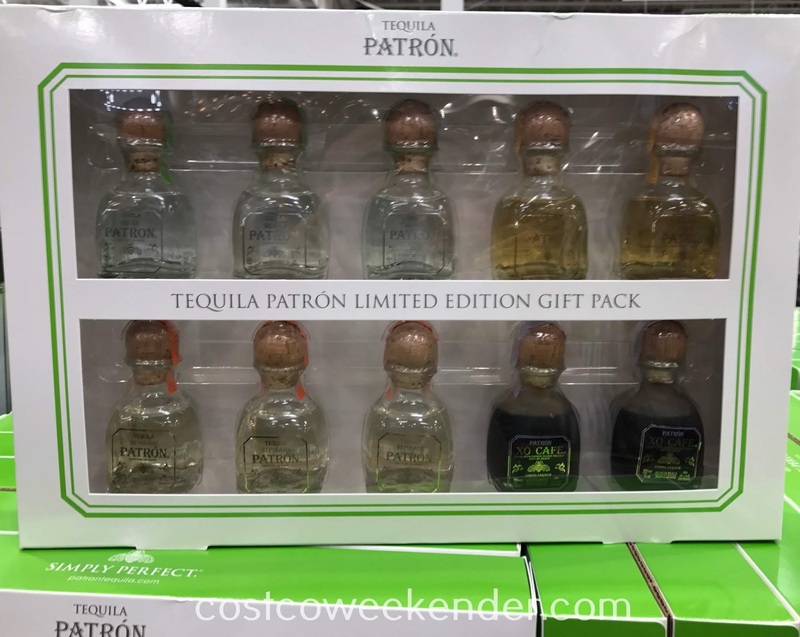 With the Patron Tequila Limited Edition Gift Pack, you actually get 4 different flavors of Patron which is great for any tequila lover. It's sort of like a tequila sampler. 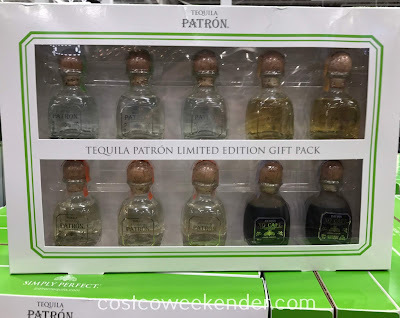 You get a total of 10 50mL bottles of original Patron Silver, Reposado, Anejo, and XO. 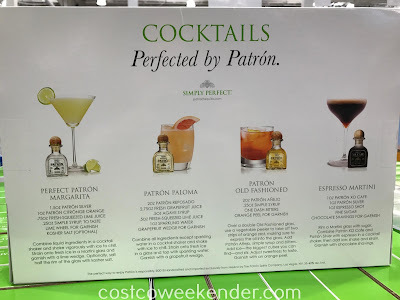 You can enjoy your Patron tequila by making a cocktail in a margarita or shooting it (which I don't recommend). If making a cocktail, the possibilities are endless especially when you have 4 flavors to choose from. 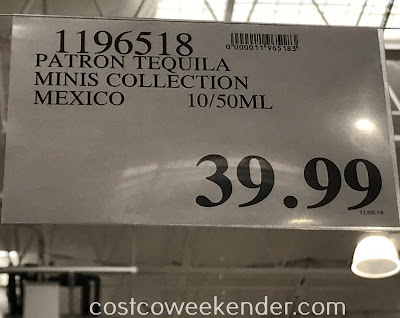 If you're more into Don Julio tequila, well Costco has that too. Patron Anejo is the result of Patron Silver Tequila aged in French, Hungarian and American oak barrels for at least on year. The Patron house style calls for minimal barrel aging, to not over-oak the tequilas. Every handmade batch of Patron Anejo is a blend from these unique barrel types. Similar to winemaking, each batch of Patron Anejo is carefully crafted to produce a smooth, oaky tequila with distinct hints of vanilla, raisin and honey. 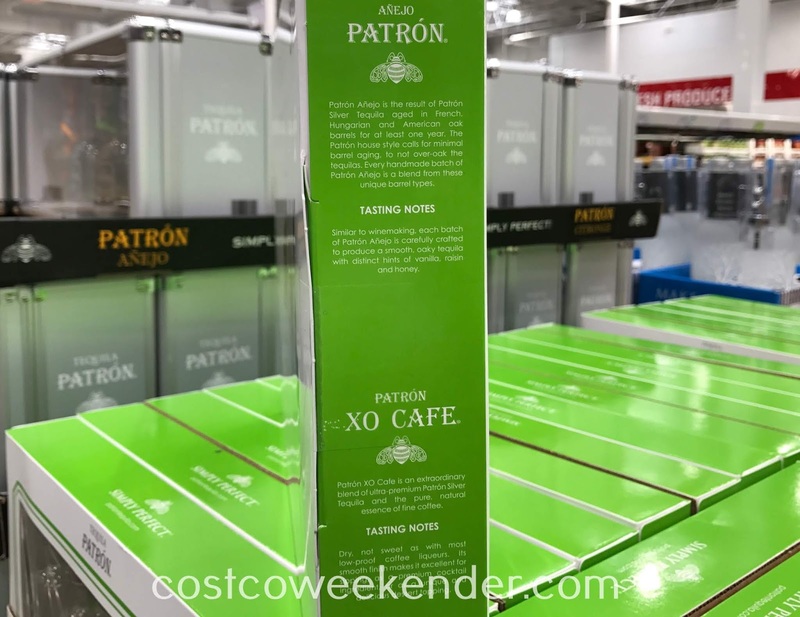 Patron XO Cafe is an extraordinary blend of ultra-premium Patron Silver Tequila and the pure, natural essence of fine coffee. Dry, not sweet as with most low-proof coffee liqueurs. It's smooth finish makes it excellent for sipping, as a premium cocktail ingredient, or as a unique and delicious dessert topping.